Join me at my home in Worcester County, MA (upon purchasing a ticket, I will provide the address) for a full moon night of fun! In this workshop, we will be making bath teas (which can also be used as a beautiful foot soak if you are not into baths!). The concentration for our spa herbs will be MOISTURIZING, NURTURING, and ANTI-INFLAMMATORY. Coming off of the winter, our skin can be left feeling dry and flaky so this is a great time to learn how to create a very beautiful, natural blended tea to counteract this problem. I will also be conducting a self-care kundalini meditation that can be practiced for 40 days. This meditation will cultivate our essence as women, heighten intuition and promote self-love. Flower essences will be passed around and used on the Chinese Meridians to heighten the effects of the meditation. Flower essences can be available for purchase after the workshop if you choose to do so. - Enjoy a meditation during the full moon! Tarot Readers, Psychic Mediums, Artists, Herbalists, Crystal Specialists, and unique vendors providing beautiful, non-toxic, earthy hand-made goods and services. Don't miss an opportunity to have an insightful reading, to receive a powerful healing, to enjoy some serious retail therapy and to nourish your spirit! ENCHANTED LIVING SPACES IS VENDING FLOWER ESSENCES AND SOME HERBAL TEA BATH BLENDS! This class is free with the purchase of a ticket! Join me as I teach about flower essences that can help you move past your abundance blocks and some kundalini meditation practices that enhance your flower essence work! One Friday a month on Enchanted Living Spaces’ business page, I show up for a Facebook Live to answer your questions using my pendulum. Again, this takes place over over on my FB business page, so if you haven't liked it yet, I'd love to have you join and be alerted! 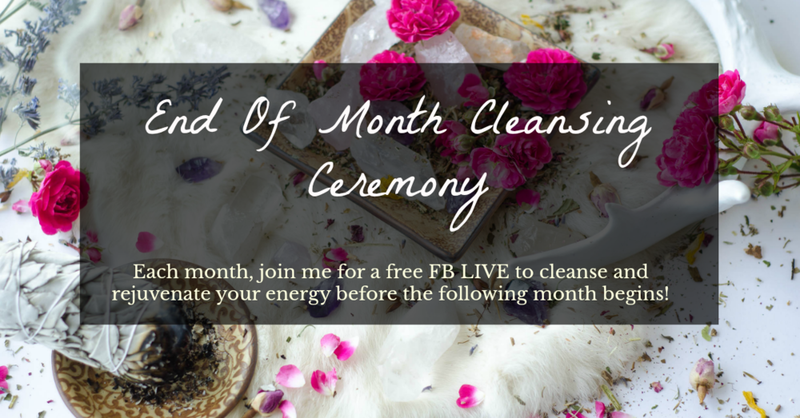 Two Thursdays a month in my free Facebook group, Harvesting Your Essence, I give a small video lecture (usually 30 mins or less), challenges, or little fun facts surrounding a chosen or voted topic and/or theme.